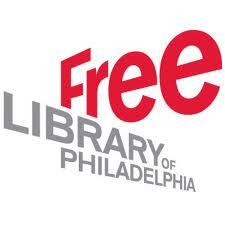 I’m thrilled to be presenting “Creating a Foundation for Wealth” at the Philadelphia Free Library. Creating a Foundation for Wealth Flyer. Order your copy of “10 Things College Students Need to Know About Money” now and bring your questions to the workshop. Shay Olivarria is the most dynamic financial education speaker working today. She speaks at high schools, colleges, and companies across the country. She has written three books on personal finance, including Amazon Best Seller “Money Matters: The Get It Done in 1 Minute Workbook”. Shay has been quoted on Bankrate.com, FoxBusiness.com, and The Credit Union Times, among others. 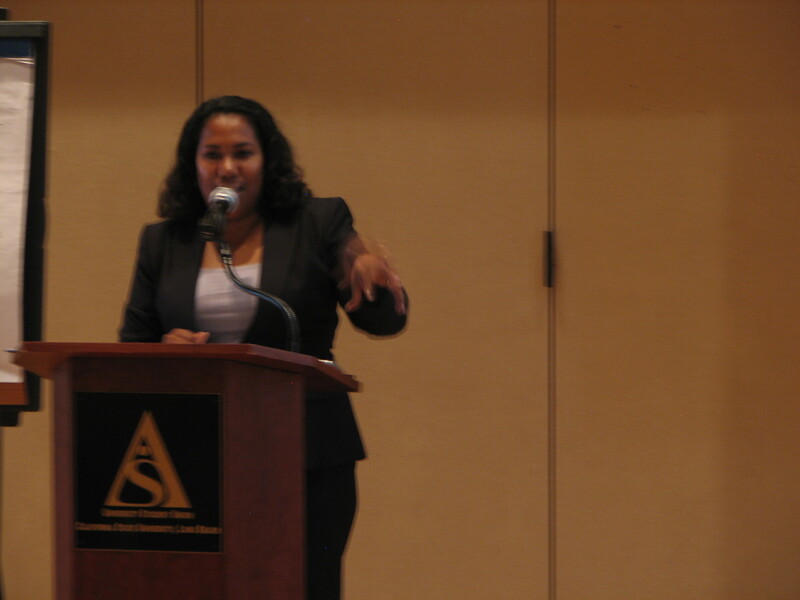 To schedule Shay to speak at your event visit www.BiggerThanYourBlock.com. Stop worrying about being rude and go with your gut. I stumbled across the best advice while watching Girl With the Dragon Tattoo. Actor Stellan Skarsgård, playing Martin Vanger, has just caught his prey, Daniel Craig, outside of his home and he invites him in for a drink. 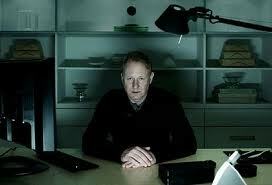 Daniel Craig knows that Stellan Skarsgård is a killer. He knows that he shouldn’t enter. He knows that he’s making a dangerous choice … but he does it anyway because he doesn’t want to appear to be rude. The killer, Stellan Skarsgård, even says to Daniel Craig that most of his victims have come into his clutch willingly because he offered them a drink and they don’t want to be rude by saying, “No”. This is a pretty common theme in personal finance. I have to get a mortgage/car loan/etc. from the same financial institution that I’ve been using because the person I deal with is really nice. I was going to ask around to see if I was getting the best price/interest rate/etc. but the person I always use offered a great rate. Ummm … how do you know it was a “great rate” if you didn’t check what others were offering? Why are we so concerned with hurting the feelings of others at the expense of our financial well being? I don’t know about you, but I am a much better friend when I’m not upset that my “friends” have screwed me over monetarily. You are the only person responsible for advocating for yourself. Making sure that you’re getting the best rate/price/etc.that you can is your job. Stop worrying about being nice and start worrying about your net worth, retirement planning, and spending plan. Not sure what you don’t know? 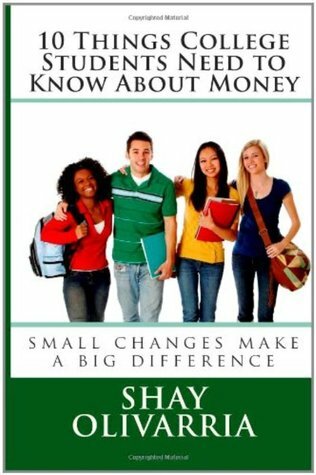 Check out my book “10 Things College Students Need to Know About Money” for a basic understanding of personal finance (it’s not just for kids) and “Money Matters: The Get It Done in 1 Minute Workbook” for suggestions and worksheets to help you get back on track. You have the right and the responsibility to not walk into the killer’s house of your own volition. Stop worrying about looking “rude” and stand up for yourself. It’s Hard Out Here for a …. Woman? ... because women are still being charged extra for being female. It’s funny how you can know something, but it doesn’t really set in until you read about it in numerical form. 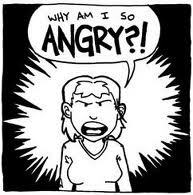 The Nation’s article “The High Cost of Being a Woman” by Bryce Covert was that moment for me. Not only did she mention the same things I already knew (women are charged more for everything, we make less than males, blah, blah, blah ..) but she was able to bring them to a level that’s easy to understand. Her article got some help from a Jezebel article and a Marie Claire article. When it comes to home loans, the Consumer Federation of America found in 2006 that women were 32 perecnt more likely to end up with high-interest subprime loans, even if when they had better credit ratings than the men. This may not be a case of discrimination, but rather the result of the way women tend to shop for things. Economists theorize that we rely on word-of-mouth rather than just taking the lowest rate from whomever is offering it. We aren’t as likely to negotiate either, which puts us at a disadvantage when buying cars, homes, or other big items like appliances. On average, women now pay $200 more for a car than a white man would, and black women pay a whopping $400 more. The gender wage gap stood at 82 cents on the dollar for the same work men do. That gap ends up costing women $431,000 in pay over a 40-year career. Women pay more just to get their shirts dry cleaned (even though a “blouse” and a man’s dress shirt is basically the same thing). As we are all becoming more savvy about personal finance, it’s important to remember that we all have agency. It’s up to each of us to know the P.I.L. of every loan and stand up for ourselves. We don’t have to beg for anything. We know what our assets are, we know what we need/want, and we’re going to find professionals that bring value to our financial lives. Guess who will be speaking at the Financial Education Month event for the Administration for Children’s Services in New York City? I will! I will! I’m thrilled that NYC ACS has tapped me to speak at this wonderful event for students in foster care around the city. On top of hosting this event for the children of New York, ACS has also purchased copies of my book “All My Mistakes: Money Lessons for Emancipating Youth” to be given away at the event. Do you plan events for high school students, college students, or students in foster care? You can hire Shay to speak at your event and purchase books by visiting www.BiggerThanYourBlock.com and contacting Corey Nobles. Would Your Facebook Page Get You Hired? Though there have been several instances of employers researching potential employees by taking a gander at social media pages, it seems things are getting even worse on the privacy homefront. Employers are now asking for passwords to accounts they can’t view.Make sure that you have an online profile that you’ll be proud to share with potential employers. Those of us old enough to remember when the internet was “invented” never imaged things would come to this. Some are debating over whether this should be legal (it shouldn’t) or if applicants should be willing to divulge passwords (they should). The question isn’t so much about whether this is right or wrong, we all know that social media is not a private space, as much as we like to think it is, and people far and wide (the social media companies themselves, third-party advertisers, sites that crawl the web for personal data, etc.) have access to whatever you choose to share via computer, phone and tablet. As internet usage and social media have transformed our lives, we can’t expect the working world not to take notice. It’s becoming pretty common for people to conduct Google searches on each other. These basic, free searches can bring up your Facebook, Twitter, LinkedIn, and other social media pages, posts you’ve made using blogging accounts, and a treasure trove of personal date including previous addresses, phone numbers, and photos that you’ve posted and/or been tagged in. It doesn’t seem that employers, or even potential mates, are going to stop conducting these searches anytime soon. If this is the brave new world we live in, we’d better prepare. 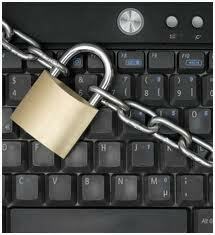 Here are a few tips on protecting your social media while applying for jobs. Create two social media identities. One never knows was is offensive to others (though traditional western thought tells us not to speak about religion and politics) so it’s best to create a public profile using your name that’s bland. Think of those networks (Facebook, LinkedIn , etc.) like a career CV and only post things germane to your career. Your personal online personality should use names and identifying information that cannot be linked to your public persona. That includes making your personal page private and not posting photos of yourself publicly. There is software coming down the pipeline that can identify images in a photo and attribute them to names, dates, and locations. Make sure that when an employer asks for your social media information you are confident that they find career-enhancing pages that speak well for you as an employee. Guard your online reputation. Make your friends aware that you have two online personalities and encourage them to engage with each one appropriately. Routinely check for photos and messages that you have been tagged in and delete those that don’t put you in the best light. This includes photos of you half-dressed, intoxicated, committing illegal activities and messages that include profanity, negative or derogatory comments about anyone or anything (sexist, racist, etc. ), or anything that seems on the line of impropriety. Better to be safe than sorry. Set up a Goggle Alert. If you have a Gmail account you can set up a Google Alert for anything that you’d like to be updated about, including your own name. It’s easy to manage your online personalities by getting an email to your account any time your name appears online for any reason. The best defense is a good offense, right? Make sure that you are being proactive about creating an online identity that you’ll be proud to share with potential employers. “The NBA is a business,” Barnes told me, elaborating that players are akin to pieces of inventory that, if they don’t produce, get replaced by other pieces that do. “But on the brighter side,” he added, “you do gain a lot of capital, and you have a platform from which you have avenues to do just about anything you want to do.” Indeed, Barnes seems amazed that more basketball players don’t take advantage of those avenues. “I think if anybody has an opportunity to play professional basketball,” he said, “to not transcend that into off-the-court endeavors is really a waste.” Click here to read the whole article. I’ve been thinking about an alarming statistic associated with the league: 78% of former NFL players either go bankrupt or experience severe financial distress. This is astounding because the base salary for rookies is $310,000, and this is bumped up to $460,000 after two years. The statistics for NBA players aren’t much cheerier: 60% go bankrupt within five years of retirement. Out of the 1,226 billionaires on the list, 840 of them are self-made. The United States has the most billionaires of any listed country with 425. Reading the stories of so many people is fascinating. Many of the stories begin with poverty. Many of thee stories talk about failure. All of the stories end in triumph. And we’re just talking about the billionaires. According to CNN Money, there were 10.5 MILLION millionaires in the world and they expect that number to double by 2020. Becoming a millionaire or billionaire from nothing is hard…. but it’s not impossible. What would happen if you strove to be a millionaire and failed? What if you only ended up with a net worth of $800,000? Would you be mad? What about if you failed, but you helped your children learn the skills that would make them wealthy? What if you were only able to leave your children a small inheritance of a few hundred thousand dollars? Whatever your financial goals are, there’s no time to start like the present. If those goals include leaving your heirs an inheritance, download my free eBook “You Can’t Take It With You”.